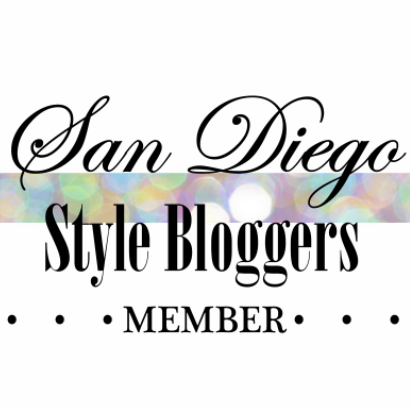 San Diego Style Bloggers get your shop on at Fashion Week San Diego’s Passport to Fashion! Pick up a passport and get it stamped while visiting Francesca’s, La Donna/Eva Varro, Kate Spade New York, Y-3, and Georgiou Studio for a chance to win prizes! 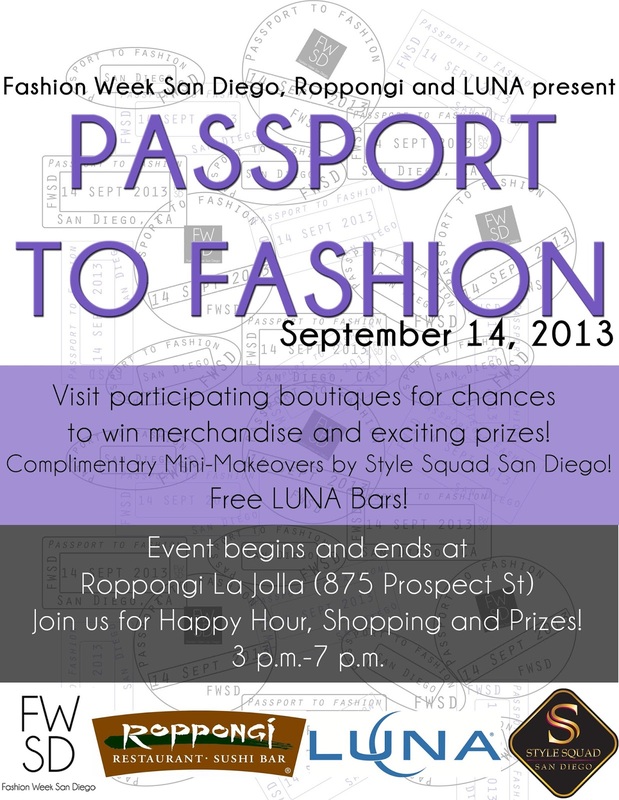 Enjoy complimentary mini makeovers from Style Squad San Diego and snack on some free LUNA Bars! Who can’t resist an evening by the beach amidst fashionistas and fellow bloggers? See you Saturday from 3 -7 PM at Roppongi restaurant http://www.roppongiusa.com/ during La Jolla nights. Enjoy a cocktail before your shopping journey! :( Sounds like fun. Too bad I have a day full that day!